Pineapples are still a huge trend this year. 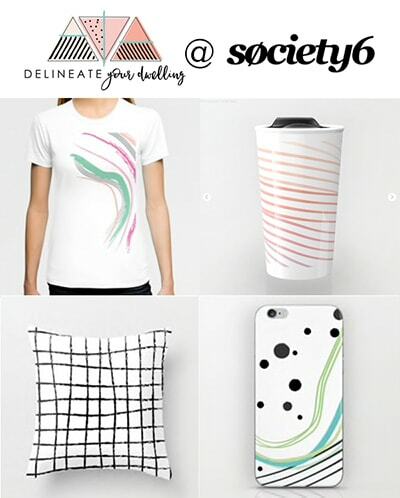 They are showing up everywhere from clothing, jewelry, paintings and so many delicious desserts. I will be honest, it’s a rare occasion that I buy an actual pineapple, but a few weeks ago I decided to make pineapple popsicles and decided to use that little pineapple as many ways as I could. 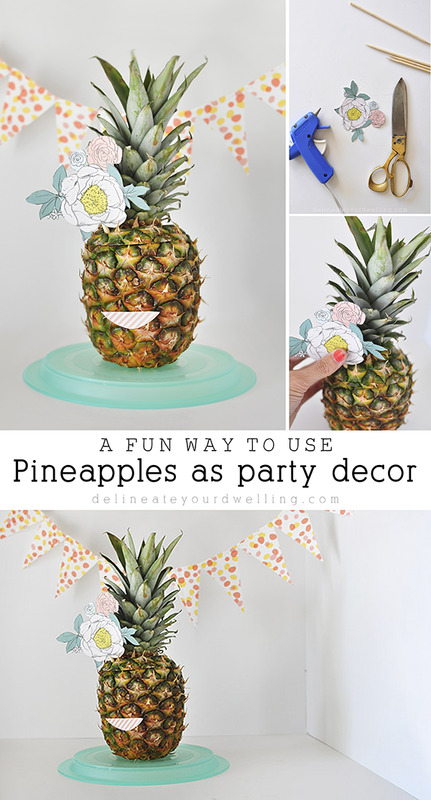 Today I am sharing a fun way to use Pineapples as party decor! 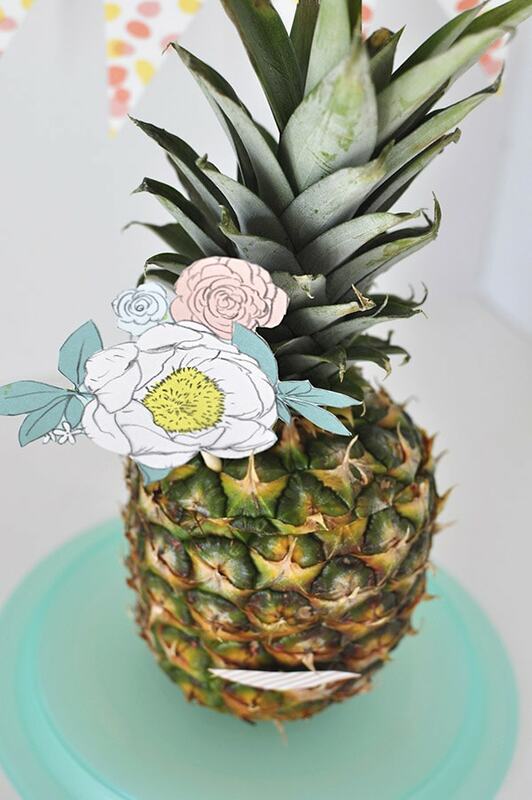 I wanted my little pineapple lady to have a lovely flower in her hair, so I cut one out from my favorite scrapbook paper. Then add a dab of hot.glue to secure it to the wooden skewer. My skewers were short, but if you have longer ones, just break (or cut) a few inches off, so the flower sits correctly on the “head” of your pineapple lady. I want this floral “hat” for myself, it’s so fun. Using the same method, I also added a little mouth to my Pineapple lady. 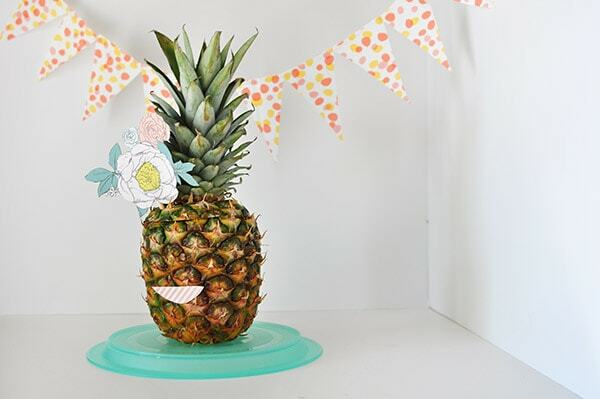 This would be so fun to make up a few of these Pineapple people and set them out on a table at your next summer party! What is your most creative pineapple use? 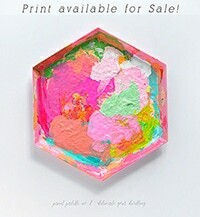 This would be way fun for a summer theme party! I kinda like the pineapple trend going on :). However, do you have other ideas for decorations? Nothing too fancy but I’m not sure that just pineapples would feel very themed? I suppose I could do a little flag banner like in your pictures too. My friends make fun of me for wanting a theme to the evening whenever we have them over! 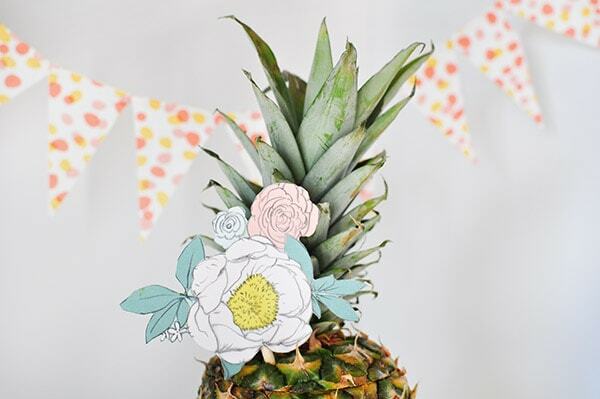 You could do a fruit theme… and use fruit as centerpieces? 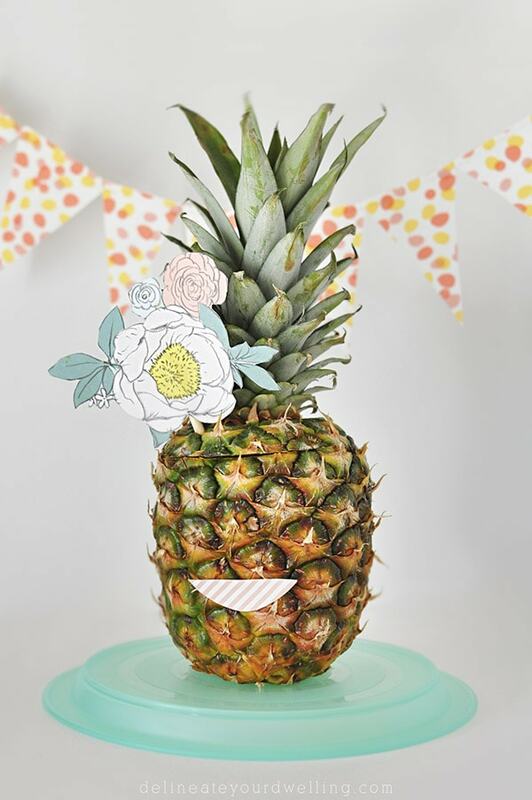 Cut off the tops of pineapple and remove fruit then use as flower vases! 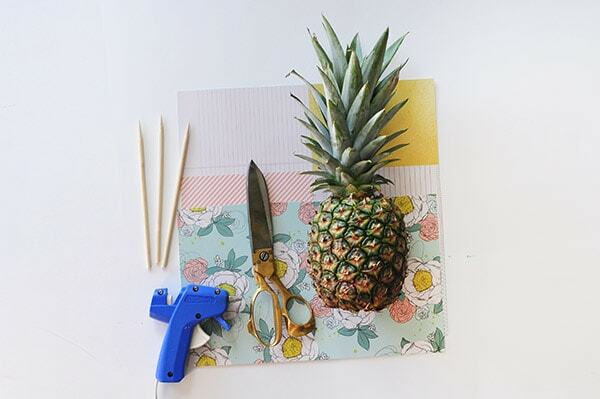 I love pineapples and this is such a creative idea! Hi Amy, I love pineapples in any form 🙂 I think this looks great!